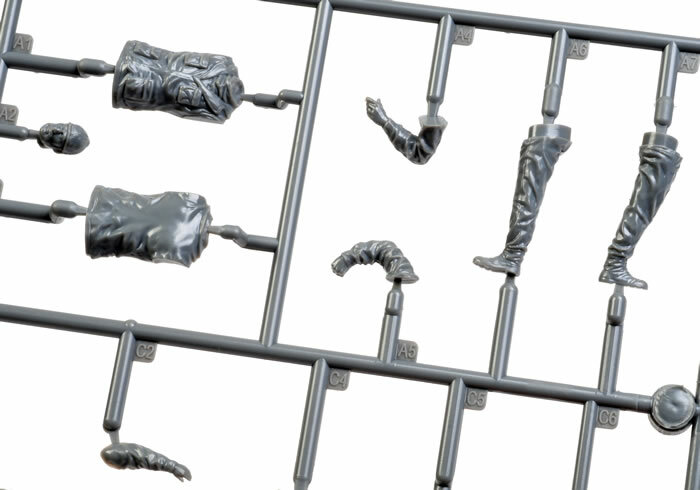 Advantages: Good quality sculpting and moulding; painting instructions included. 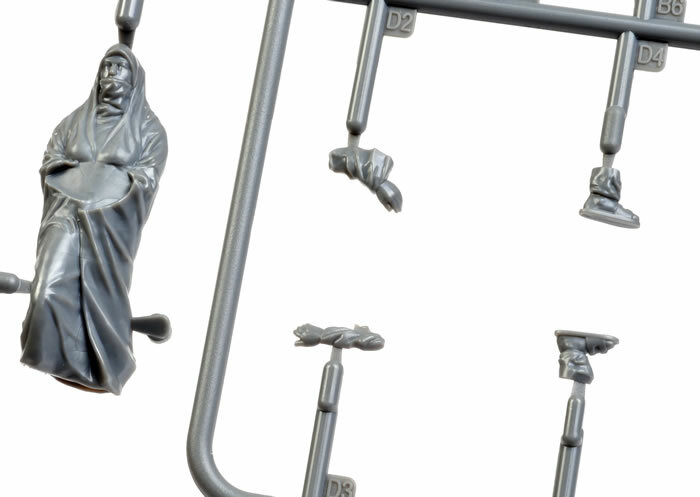 Recommendation: A simple, inexpensive and versatile figure set for modern dioamas and vignettes. 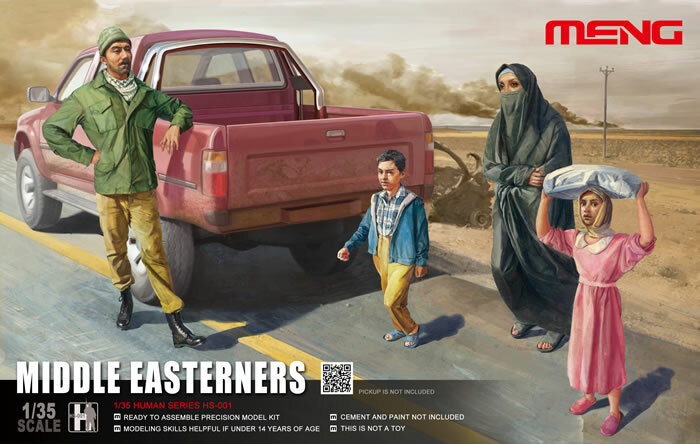 Meng Model has released its debut 1/35 scale figure set entitled Middle Easterners. 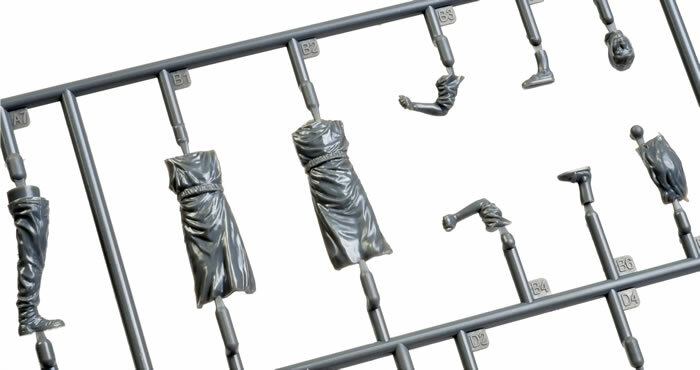 This straightforward set comprises 26 grey plastic parts making up four figures - a man, woman, a girl and a boy. 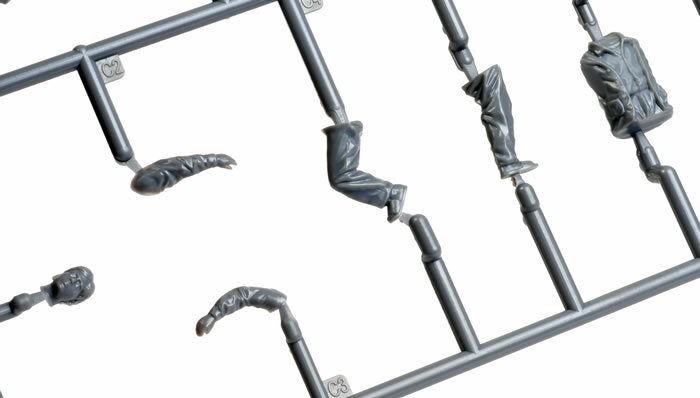 Moulding quality is very good indeed, as is the standard of sculpting. The man wears a knitted cap, scarf, jacket and boots, with the boy in jacket and sandles. The woman is wearing a niqab veil, with the girl in a simple hijab and carrying a sack above her head. Locating points for the legs and feet are very well defined and should result in a strong bond. Painting suggestions are offered on the back of the box, but the possibilities are very broad. Meng's 1/35 scale Middle Easterners offer some interesting possibilities for posing with a civilian vehicle for a vignette or in a broader diorama setting.